Mrinalini Krishna has been a business journalist for nearly 10 years, starting her reporting career with business television in India in the aftermath of the 2008 financial crisis. She worked on breaking news, delivering exclusive scoops, analyzing complicated financial information and producing television shows. 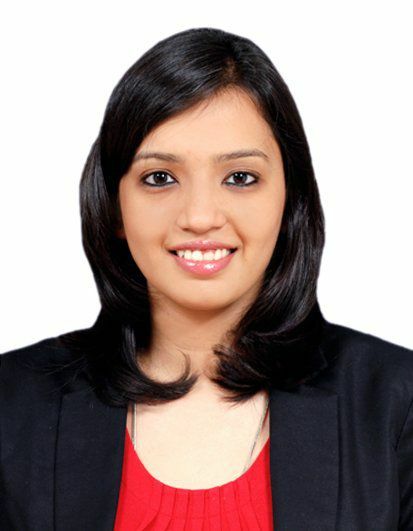 As an on-air reporter for ET NOW, the television arm of The Economic Times, and CNBC TV18, she specialized in reporting on India’s economic policy from the political capital, New Delhi, and stock market regulation from the nation’s financial nerve center, Mumbai. Her stories have also featured in financial newspapers such as Business Standard, Mint and The Economic Times. An intern on the Wealth Team at Forbes in New Jersey, Mrinalini worked on the flagship Forbes 400: America’s Richest, Richest in Tech and America’s Richest Families lists, reporting on and developing valuation models for net worth calculations. For Investopedia, Mrinalini managed a team of writers and editors, to deliver content that cuts through complex financial jargon and gives readers information they can use. She also writes about the marijuana industry. Mrinalini received her Bachelor of Arts with Honors in economics from the University of Delhi. She earned her Master of Arts in mass communication, specializing in journalism, from the Symbiosis Institute of Media and Communication. She also earned her Master of Arts in business and economic reporting from New York University. "Big stock moves, business decisions, and government policy all make financial news. What I enjoy most is helping our readers get perspective beyond the headlines about how these could impact them and their hard-earned money."